Do you find that in general your misses with a fairway wood are always low down on the club? No I don’t mean you topping or hitting it on the head I mean low on the clubface! Well you’re not alone in that aspect! It is a common problem amongst most golfers, even the tour professionals. Ping have realized this and used it to their advantage by providing a fairway wood that will get the ball up in the air easier as well as provide a consistently better strike. 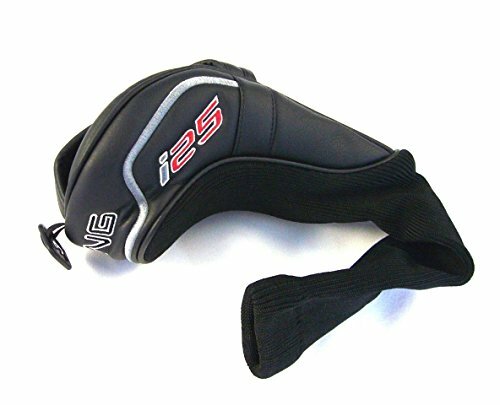 You’re sitting there trying to rack your brain thinking of what this factor is that can improve your ball striking so much. Soon you’ll find out. 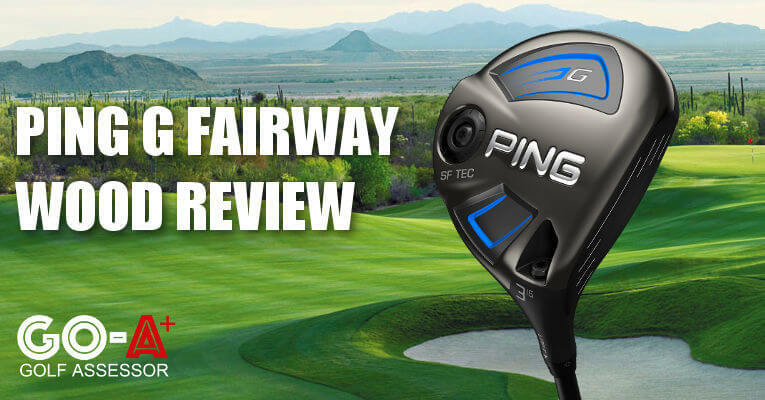 We reviewed the Ping G Fairway Wood as part of our Best Fairway Woods Review. 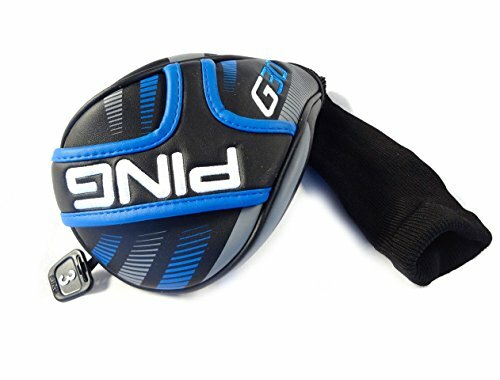 Looking to buy the Ping G Fairway Wood? A straighter leading edge is what it’s all about. 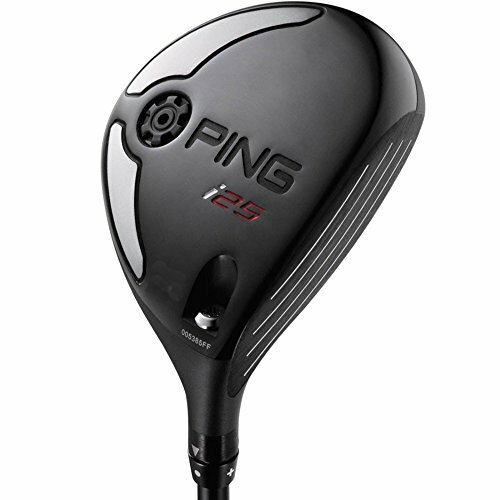 Ping have chosen to turn a better player’s club into a fairway wood that will help every golfer strike the golf ball better and more consistently. 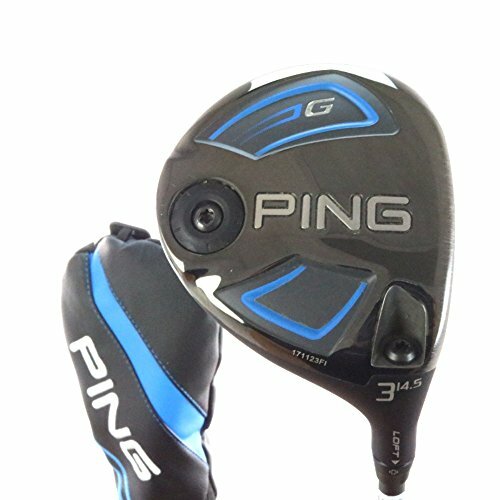 If you already own the Ping G Fairway Wood please leave your review in the customer review box at the end of this article. 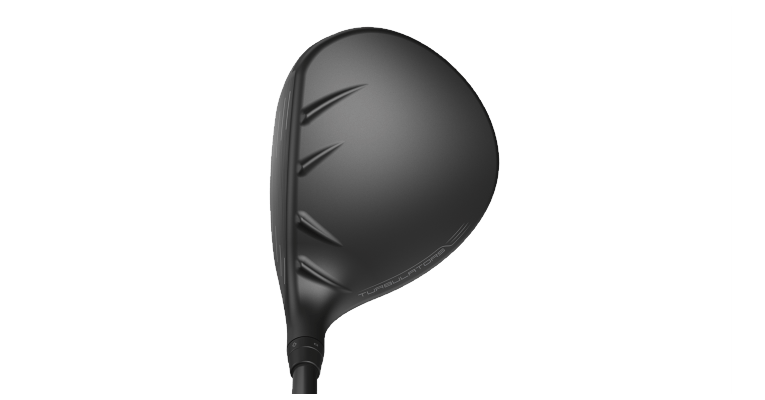 Use the quicklinks below to navigate our Ping G Fairway Wood Review. Ping have provided a fairway wood that is a lot easier to get up into the air and consistently! A beautiful club that isn't so much focused on distance as it is on playability and ball flight. The straighter leading edge aids you with better strikes in general. The higher MOI that affects ball flight and spin rate is some of the best amongst all manufacturers. It is long, but that's not even a factor really. It's versatile and feels fantastic on center strikes. Without doubt the best value fairway wood on the market in our opinion. Mid to high launch with a low spin rate that really does improve accuracy and is not affected by the elements. Only thing that MIGHT (really scraping the barrel here) be a factor is because of the very shallow profile you may strike the clubface a bit too high up off the tee or from first cut of rough. Great value for money purchase right here. It looks fantastic, but more importantly the higher MOI and straighter leading edge have aided forgiveness and playability making fairway wood shots that much easier. Before we mention anything else the Ping G is one of the shallowest/flattest clubheads on the market currently. This was done for one primary role, which will be elaborated on under performance. An almost all black offering that has touches of blue on the sole and must be said looks terrific from the address position. The turbulators on the crown are attractive and not too prevalent where you get distracted. They do also serve as an alignment aid so not just aesthetic or aerodynamic! 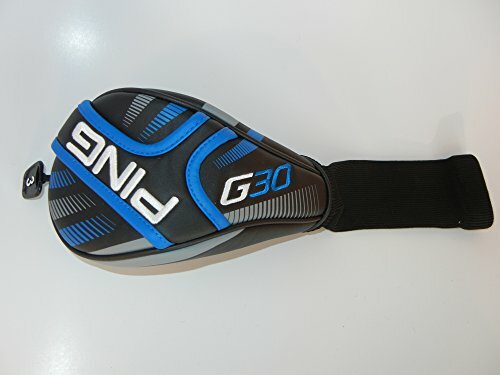 The G head is the same size as it’s predecessor the G30, but the sole is slightly smaller. Lastly the leading edge is a lot straighter than previous models too. There’s just something about Ping drivers and fairway woods that are so appealing. It’s almost a hidden factor that even I am trying to figure out what it is exactly! 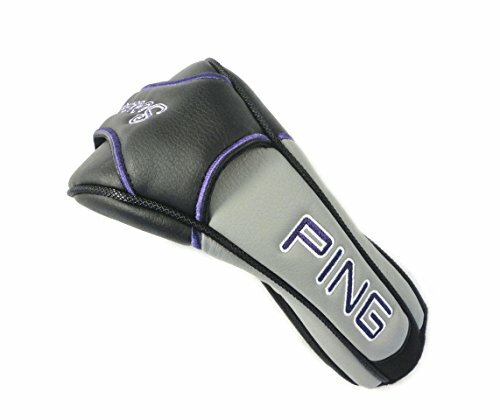 The technology and testing that has gone into the Ping G is certainly evident in the overall performance of the club. The turbulators are a feature once again and to be honest don’t have as big an effect on the fairway woods as the driver. 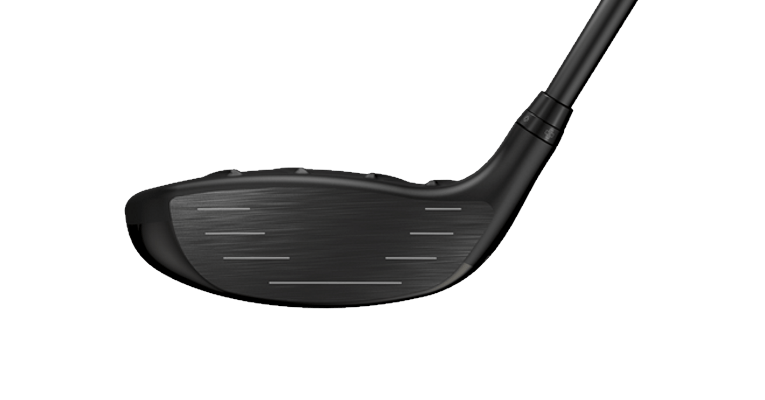 The crown of the club has been 25% lighter and this has enabled Ping to move weight lower towards the sole. 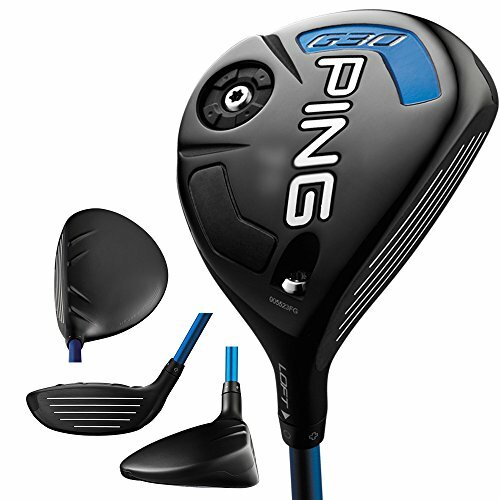 Ping can confidently say that the G fairway wood has a 40% higher MOI than most other clubs on the market. Now you can’t be sure how many ‘most’ is, but after testing and seeing the results myself I can safely say I believe them! Ping have also raised the impact position on the clubface by 12%, which helps you a great deal. When you read or hear Ping you think the sound corresponds to the name. Well back in the early days it did, but now it’s far from that. A beautiful quiet yet solid to it at impact that really is pleasing to the ear. Only when striking the G off center is there a slightly more tingy sound to it, but you REALLY have to strike it badly for that to happen! Feel is superb. 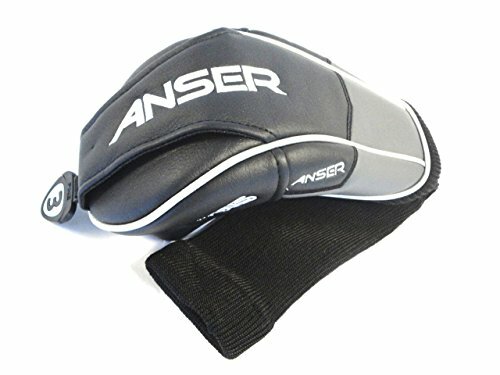 Meaty and zero vibration feeling as though the whole club is well connected. Feedback is good and with the raised ‘sweet spot’ it does aid the general feel off the clubface. Most golfers struggle to get the ball airborne. If you are in the same boat as this then read carefully from here! Ping have lowered the leading edge of the G and offering great improvement on playability and performance. In general fairway woods have a rounded leading edge that is tough to strike well particularly off tight lies. The straighter leading edge now almost makes you feel as though you taking a small divot with each strike, but don’t worry. It’s meant to be like that! What Ping have also done well is minimize the spin rate in the G whilst still providing a mid to high launch. This is so important as if your ball has a high trajectory the last thing you want is a lot of spin. This is because firstly your ball will travel nowhere if it had high spin. And secondly the wind would affect the flight and shape a lot more with high spin. There is also an adequate amount of forgiveness in the G as well so off center strikes have only a maximum of 4mph difference in ball speed, which very good. 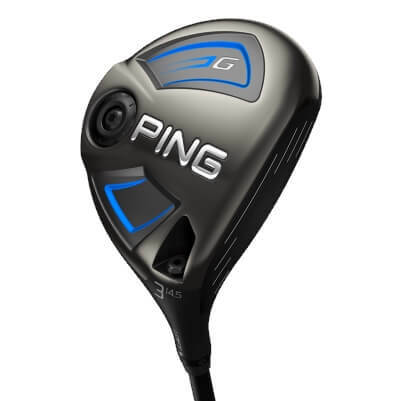 I can safely say that regardless of your handicap range you will consider the Ping G Fairway Wood value for money. The straighter leading edge providing better strikes in general. The higher MOI that affects ball flight and spin rate is some of the best among all manufacturers. It is long, but that’s not even a factor really. We’re a lot more focused though on the general playability and forgiveness it offers. Super offering from a super brand and we give it a 8.7 out of 10.